ConceptDraw DIAGRAM is a business process flowchart software. This software includes the basic package of business process flowchart examples. The software delivers built-in object libraries with vector stencils that allows you to use RapidDraw technology. Clicking on direction arrows you can add a new object to the flowchart. 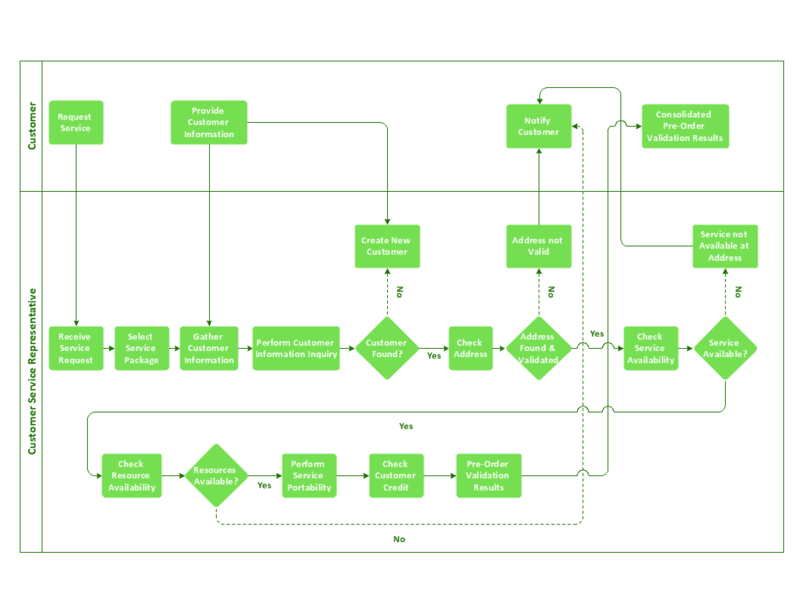 Example 3. Business Process Flowchart : Providing telecom services. A flowchart is a picture of the separate steps of a process in sequential order. 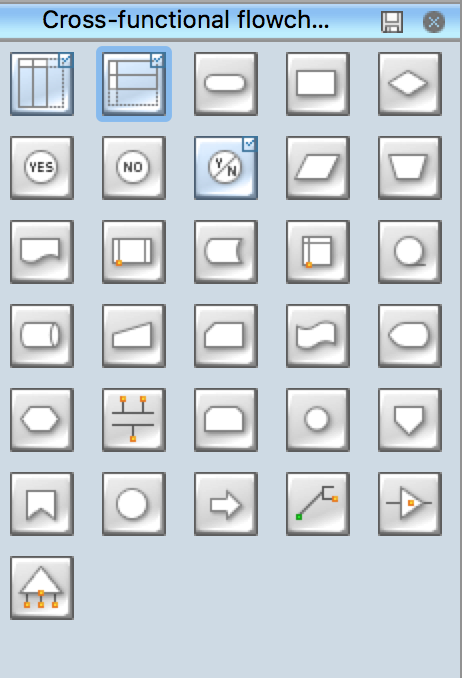 ConceptDraw DIAGRAM v12 is a Process Flowcharts software. This software includes basic package of process flow examples. The software contains object libraries with vector stencils that allows you use RapidDraw technology. By clicking on direction arrows you can add a new object to the flowchart. Fast creating visualization for structured data is the main capability of ConceptDraw DIAGRAM v12 software. With numerous vector stencils from object libraries and the RapidDraw technology this software becomes the best cross-functional flowchart software. 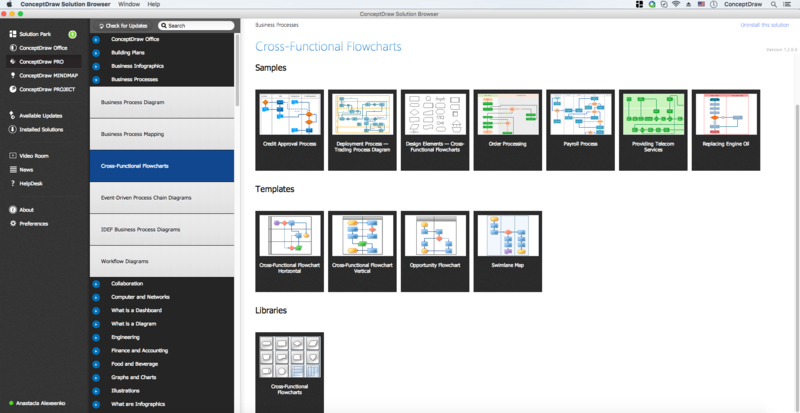 ConceptDraw DIAGRAM v12 extended with Cross-Functional Flowcharts Solution from the Business Processes Area is a powerful software which offers a variety of Cross Functional Flowchart examples. The use of predesigned examples as the base for your own Cross Functional Flowchart Diagrams is a timesaving and useful way.